Water damage in your home or business comes from a variety of sources. 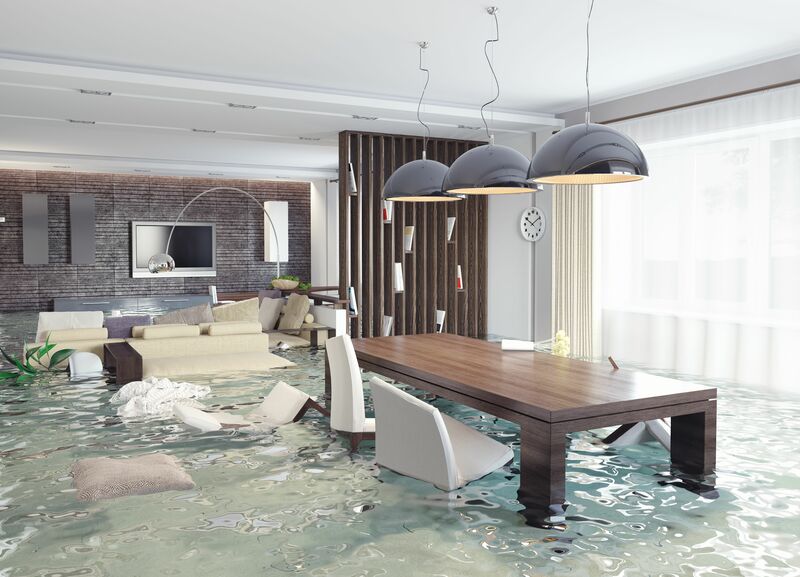 Here at King's Remodeling and Restoration, we've seen just about everything, and want to relay some of our knowledge on how to prevent water damage from affecting you. Below, we've listed some tips for preventing water damage, and what to do if it occurs. Turn supply valves off when not in use for extended periods of time. Do not operate the washing machine while the home is unoccupied. Inspect the water supply lines every six months. Check the hoses for cracks, kinks blisters, which are most commonly found near the hose connection. Consider using reinforced braided stainless steel hoses. Operate the shut-off valve to make sure the water supply will turn off properly. Replace if needed. Have a professional inspection of the anode rod at least once every two years and annually once the warranty has expired. The rod may eventually corrode and leave the tank vulnerable to damage. Remove sediment by flushing the tank every six months. Sediment can build up faster in areas with hard water. *Homes built over 30 years ago are nearly three times as likely to have a plumbing supply or drain issue. Visually inspect plumbing pipes annually, look for condensation around the pipes or an obvious leak and corrosion. Call a plumber at the first signs of rust-colored water, backed-up toilets or sinks and cracked or warped flooring. Insulate pipes in attics, basements and exposed exterior pipes to avoid freezing. Have a professional inspection annually. Request a detailed inspection report that includes the condition of the flashing, roof covering, parapets and drainage system. Repairs are needed if there are cracked or missing shingles or loose or missing granules; if flashing has deteriorated, particularly around chimneys and vents; or if pooling water is present. Proper installation of the icemaker supply line hose is important to avoiding water damage. Ensure a tight connection between the hose and valve however, avoid over-tightening. If kinks are present, replace hose. Leave a 3 to 4 inch gap between the back of the refrigerator and the wall to prevent the hose from crimping. When pulling the refrigerator out for cleaning or service, avoid getting the hose caught beneath the wheels. Locate the water shut-off valve. If you suspect your home has any water related damage, King's Remodeling and Restoration is happy to help you work with your insurance company to make sure everything is taken care of for you.